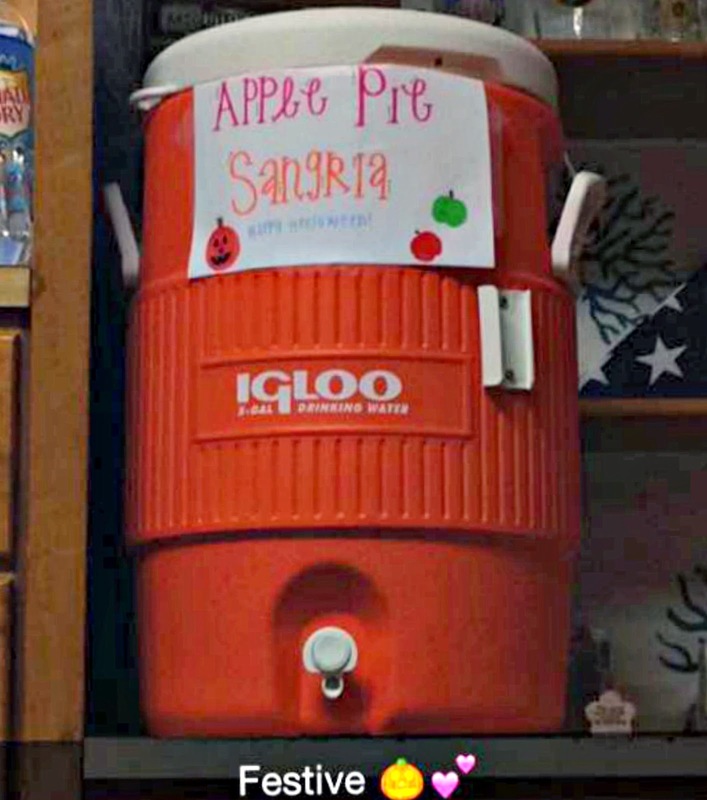 I apologize that I'm still dragging out my Halloween festivities, but I did promise you all the recipe for an apple pie sangria recipe that my roomie Casey Fallin made. This recipe is perfect for Thanksgiving coming up soon, so I'd love for you to let me know what you think! And if you still haven't checked out my Halloween prepping YouTube video, you definitely should! It's quite a laugh! Remember when I mentioned it here? Hey y'all! I'm so excited Grace is letting me share my recipe. It is definitely my new favorite fall drink! Hope you enjoy! 1. Cut apples and pears into cubes and put in container (A pitcher is too small for the whole recipe, so you will need a larger punch bowl or cooler). 2. Pour the vodka into the container. 3. Pour the wine into the container. 4. Pour the apple cider into the container. 5. I recommend making this mix the morning you plan to serve the drink. Making it the night before is too long for the fruit to sit, and making it right before serving won't give the drink the apple/pear taste). 4. A couple of hours (3-4 preferably) before serving, add the cinnamon sticks. 5. Right before serving, add the club soda. This recipe was brought to you by Casey Fallin. Tooootally want to make this on Thanksgiving...but maybe just half a recipe. :) Thanks for sharing, it sounds delicious! YUM!!!!!!!!!!! This needs to happen at my family's thanksgiving next weekend! YUMMY!! I can't wait to try this!